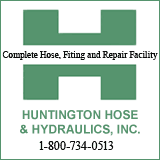 HUNTINGTON, WV (HNN) - The Huntington High boy's basketball team won over a tough Spring Valley team 60-50 at Veteran's Memorial Field House on Wednesday night in a first round game of the West Virginia High School sectional basketball tournament. Spring Valley stayed even with Huntington High for the first period with the score tied 18-18. The Huntington High defense took over allowing Spring Valley only two points in the second period and went up 28-20 at the intermission. Huntington High continued to roll and the score was 45-28 at the end of the third period. Spring Valley made the game closer in the fourth period, but fell short losing 60-50 to the Highlanders. Huntington High will return to Veteran's Memorial Field House on Friday March 4 to play Logan for the sectional championship. Logan defeated Lincoln County 69-49 in the second basketball game.